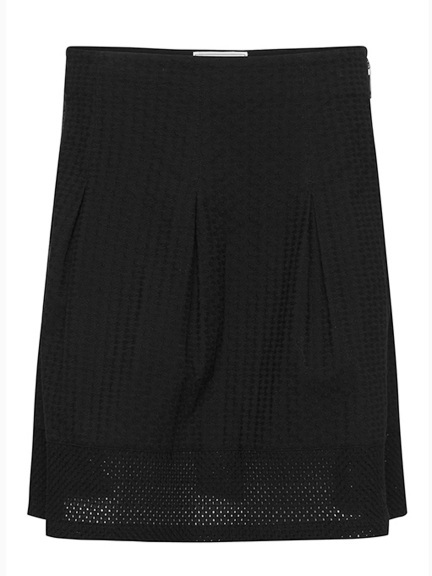 Soft A-line skirt in eyelet. Invisible inset waistband. Contrast silver side zip. Small godets at front and back. 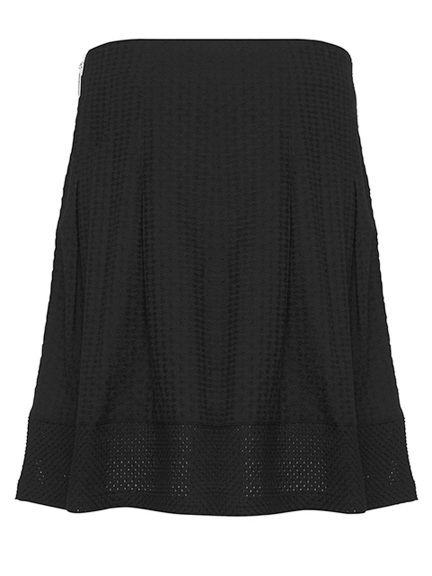 Basketweave eyelet at hem. Full cotton voile lining.